Our three day Golf Explorer is a fantastic way not only to play some incredibly beautiful golf courses but also to discover the best of what the South Coast has to offer. This retreat includes transport, food, all fees and accommodation. 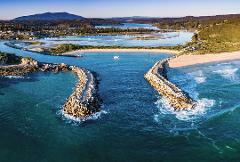 This incredible four day all inclusive tour is a fantastic way to explore the South Coast of NSW from its incredibly beautiful beaches, culture, history, food and sightseeing. Travel in style in a luxury Tesla for the upmost in comfort. This incredible three day all inclusive tour is a fantastic way to explore the South Coast of NSW from its incredibly beautiful beaches, culture, history, food & sightseeing. 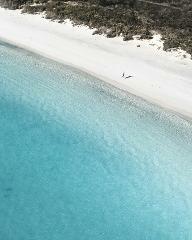 Fly to Moruya or Meriumbula and we will pick you up from there. Southbound Escapes Wellness Retreat is for those who want to escape their busy lives to take some time out for themselves. Enjoy a yoga class each day, E-bike ride each day, coastal walks, in room massage, and delicious healthy meals. 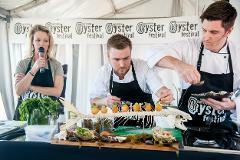 The Narooma Oyster Festival is one of NSW's flagship events. Our VIP package includes two nights accommodation in a luxury self catering apartment with special tickets for the Ultimate Oyster Experience and more.